The NEWLY RELEASED Share What You Love Bundles are now available! 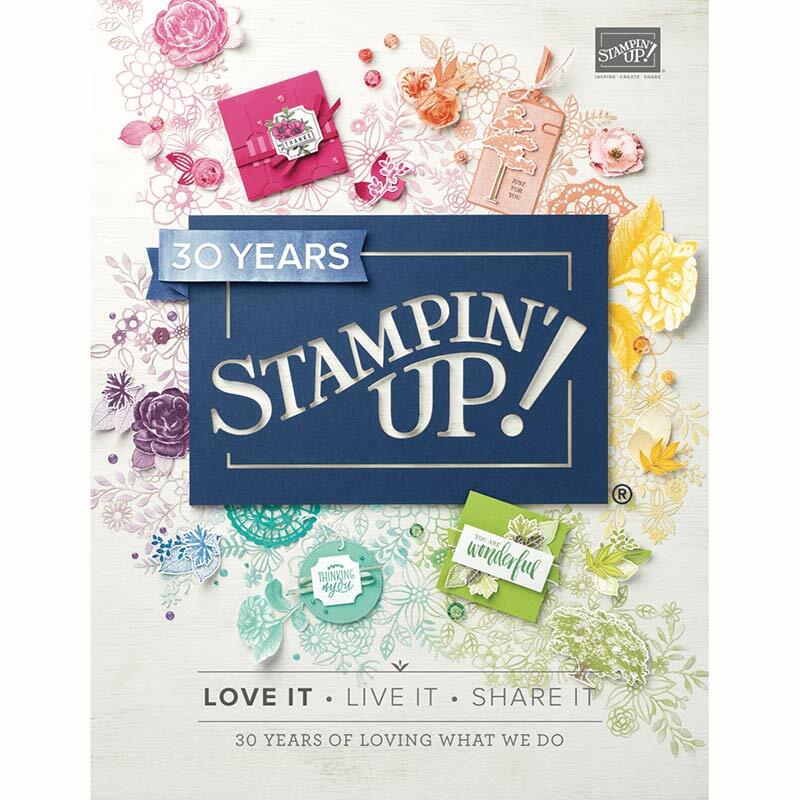 We first got the opportunity to use these products at our April Stampin’ Up Convention, and, oh my! These products help create the most beautiful projects! We made this card at OnStage using the Share What You Love Specialty Designer Series Paper, the Share What You Love Stamps, the Rich Razzleberry Velvet Ribbon, the Pearlized Doilies, and the Artisan Pearls on a returning color Mint Macaron Cardstock base. For May’s Cards Class, I decided to CASE (Copy And Share Everything) using some brighter colors. I used the same Share What You Love Suite Products, but the base is So Saffron stamped with VersaMark. Love this brighter version of the same card! On both cards, there’s a piece of Vellum Cardstock the same size as the rectangular piece of the Share What You Love Paper. I love Vellum because it adds a nice soft touch to any project! We also made this card in Cards Class with the Share What You Love Suite. You can see the pearlized flowers on this Designer Series Paper. So elegant! The Share What You Love Stamp Set stamped in Lemon Lime Twist and Tranquil Tide was used to create the sentiment and I used Pear Pizzazz as the base. Then I decided to “show some love” to the retiring Color Theory Designer Series Paper and paired it with the new Blueberry Bushel cardstock and ink. Paired with the new Pineapple Crush Ink, it’s such a bright and cheerful combo! There are three Share What You Love Bundle choices, all of which include FREE products! But these Bundles are ONLY AVAILABLE THROUGH MAY 31ST!! Choose from the Just Getting Started Bundle, the A Little More, Please Bundle, or the Gotta Have It All Bundle. All three Bundles include additional Items included that will only be available as a Bundle through May 31st. So many beautiful projects waiting to be created by YOU!! Just go to http://www.craftingonthehill.stampinup.net and shop my online store for ANY of these Bundles! This entry was posted in 2018-2020 InColors, Cards, Classes, Retiring List, Share What You Love, Stamps, Starter Kit, Uncategorized. Bookmark the permalink. ← Farewell to some favorites!